I came from very humble beginnings. 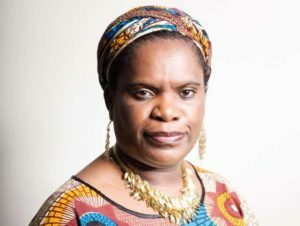 From a child vendor at 6, from a child labourer at 9, from a classroom teacher in a high density suburb to an international advocate for girls rights. When Interaction announced that I am this year`s winner of the prestigious award I felt very humbled. This is my 19th award for being a loyal servant for vulnerable girls. I have been thanked enough by the world and girls I served loyally and if anything I was the one who was supposed to say thank you. One girl took pictures of all my awards and sent to me and she said keep them and remember we are grateful. I also said to her am also grateful for those who helped me when I was poor and felt dejected. I have been thanked enough and my goal now is to move my vision of Girl Child Network Worldwide to a higher level so that I continue to be of service. When I started I never dreamt I would be close to all these great leaders – its like am dreaming and what a sweet dream.